Since the cold weather has crept up, I’m officially back to living in my boots. Ankle, thigh high, cut out, flat, block heels, patent leather, suede.. you name it, it’s probably buried in my wardrobe. But since they’re pretty much essential winter wear, you can never have enough, right? So when Clarks got in touch and offered me another pair to add to my collection , I couldn’t resist. Ever since I was little, Clarks has always been one of those brands that I associate with good sturdy shoes. The prices are reasonable, but you know what you’re buying is quality. But lately, I’ve really thought that Clarks have stepped up their game. For the last couple of years, their advertising has taken them away from being a sensible shoe shop to a modern but established British brand. While their recent collaborations with the likes of Orla Kiely have brought them more brand kudos, some of their styles are still more aimed at an older crowd. But their latest range have some great staple boots for winter. 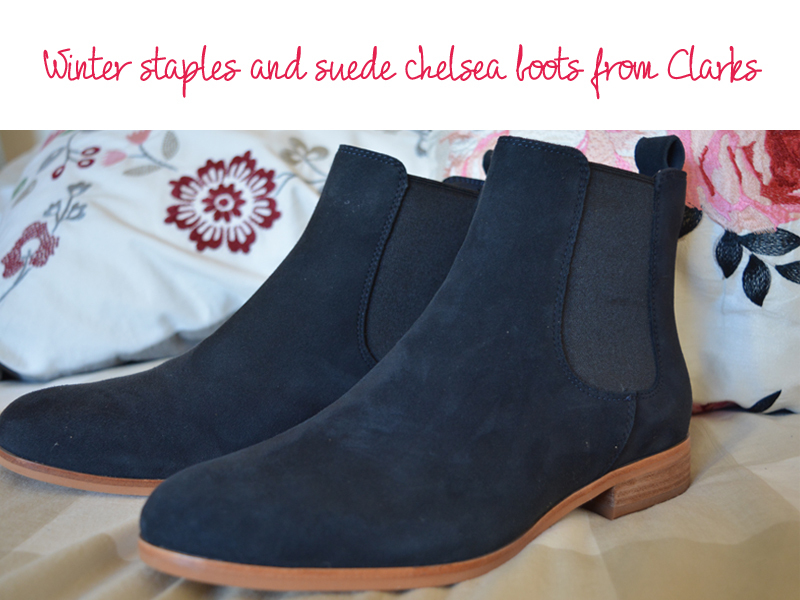 After browsing some of their latest styles, I had my heart set on a pair of black Maisie Hotel Chelsea boots, but with 20% in store and online, I couldn’t find a pair in my size for love nor money! 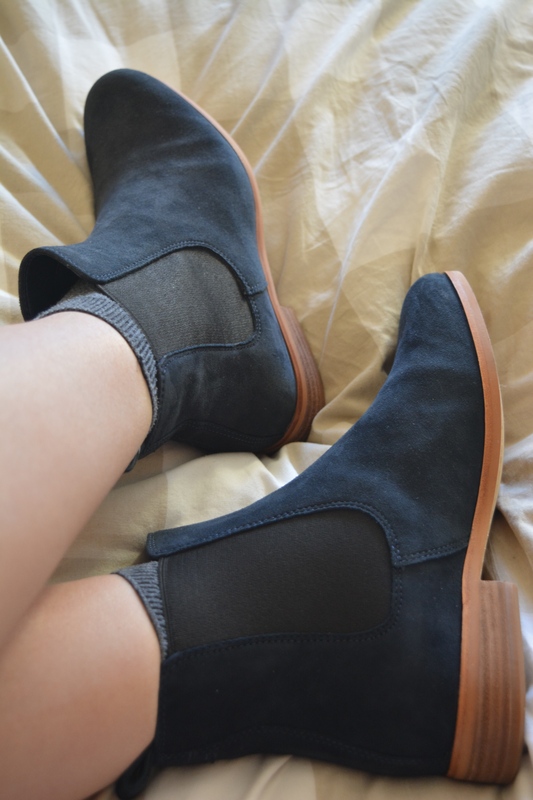 Not to mention discovering that I need to go a half size down in Clarks.. After a lot of hunting though and a (slightly harassed) trip to the Metro Centre, weaving through Christmas shoppers, I finally managed to get my hands on a pair of Maisie Hotel boots in navy suede. When I realised the black ones were out of stock, my first idea was to try out a pair of their Mariella Busby chelsea boots. But there felt a little wide, and there was something about the almost crinkled leather that I couldn’t quite get away with. The Maisie Hotel boots are a lot slimmer, and since I have narrow feet, they fit a lot better. With well made, thin soles, they feel well made but not clunky. They’re not the sort of boots I’d be heading out in the snow in (because they’re you know, well suede..) but they’re definitely the sort to see you through a few cold seasons. Like you’d expect from Clarks, they just feel well put together. While it’s great to be able to change styles, I think investing in decent footwear is so important. I hate the idea of PU shoes that start to peel. I want something that I can wear until the leather is cracked and falling apart. And everyone knows that leather just gets better with age. The suede used on these boots feels thick and sturdy, so it doesn’t seem the type that will crease and sag as they start to look more worn. 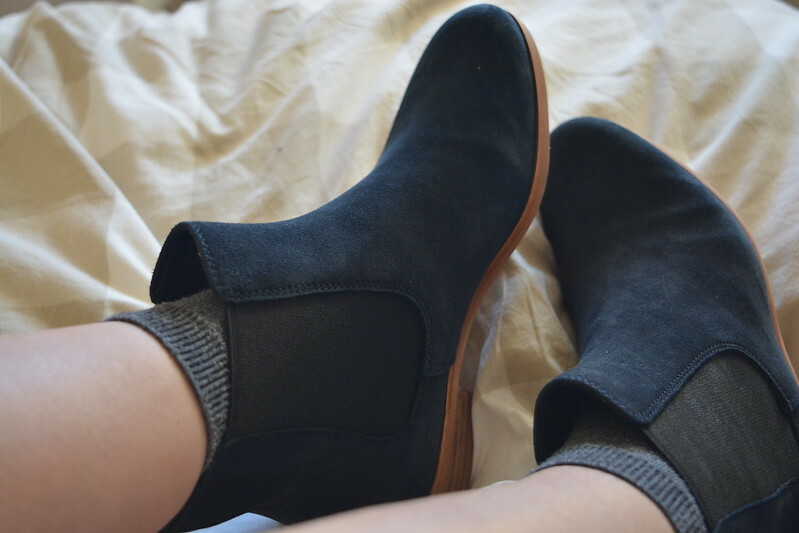 Although navy suede wouldn’t have been my first choice, the style is perfect. I was a bit gutted that I didn’t manage to find a pair in black, but I thought these could be quite a cute alternative. I’m ok with the whole wearing black and navy thing in general. 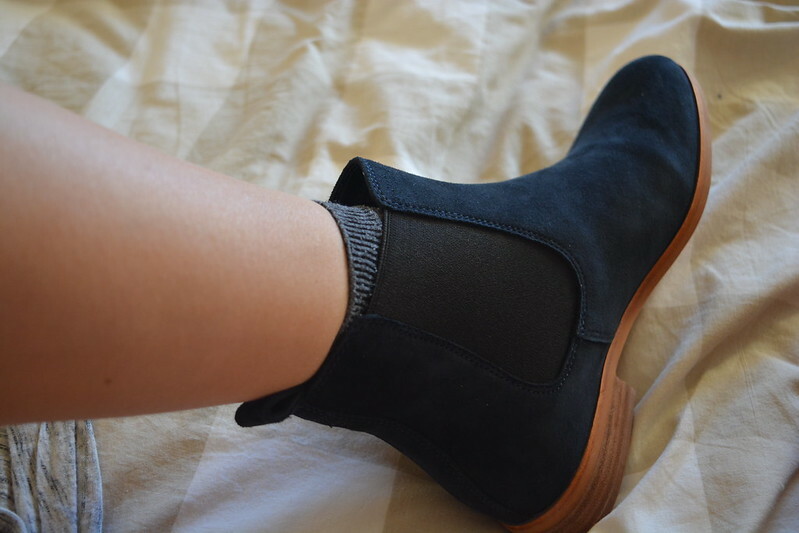 But I’m not too sure how well these will work with tights.. so maybe they’ll be reserved as more of a summer boot, to wear with bare legs and dresses? I’m not sure yet. Although with the website promising that the black are coming in stock again soon, I’m kind of tempted to return them in favour of the ones I really want. What do you think?